Successfully applying for a job where you do not precisely meet the requirements is going to be a challenge. After all, there is only so much rewording and rearranging that you can do to demonstrate that you should be considered as a viable candidate despite your obvious lack of required credentials. But many times job seekers will be convinced that they can do a great job if only they were given the chance to prove their skills though employers may not be willing to take a chance when other candidates are fully qualified. But there is a simple trick to help defeat an immediate rejection most of the time, giving you an opportunity to at least progress deeper into the hiring process. That trick involves the issue of timing. If you come across a job that you really want but feel that you are somewhat under-qualified on paper, just don’t be among the first applicants to apply for the position. If possible, wait a couple of weeks after the posting before sending in your resume to tip the odds in your favor. Give the employer some time to interview several candidates and bank on the chance the hiring manager won’t find anyone they like yet. Once several, otherwise qualified, people have been eliminated from the running, there is an increased chance that your resume will be looked on more favorably and you will be given a chance to prove yourself. The more desperate an employer becomes, the more likely they will be willing to take a gamble. 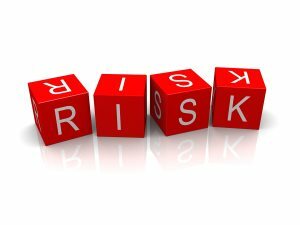 You’ve probably realized by now that this is a game of risks—risks that you will apply too late, risks that the employer will find a qualified candidate to fill the position. But since you already know that you are unqualified, it makes sense that if you are one of the first applicants you are probably going to be passed over immediately for more attractive candidates. By showing patience and waiting a while before applying you are avoiding direct competition with the initial collection of stronger resumes and presenting yourself to an employer that is growing more desperate to fill the position. Given this combination of factors, by demonstrating your enthusiasm, eagerness to grow and learn, and willingness to work with the employer you can work to compensate for your lack of experience or credentials and end up looking like a much more attractive candidate.